"I'm not an art collector, I’m an art accumulator,” says philanthropist Donna MacMillan. As it turns out, much of what speaks to her artistic sensibilities also speaks to the multitudes. 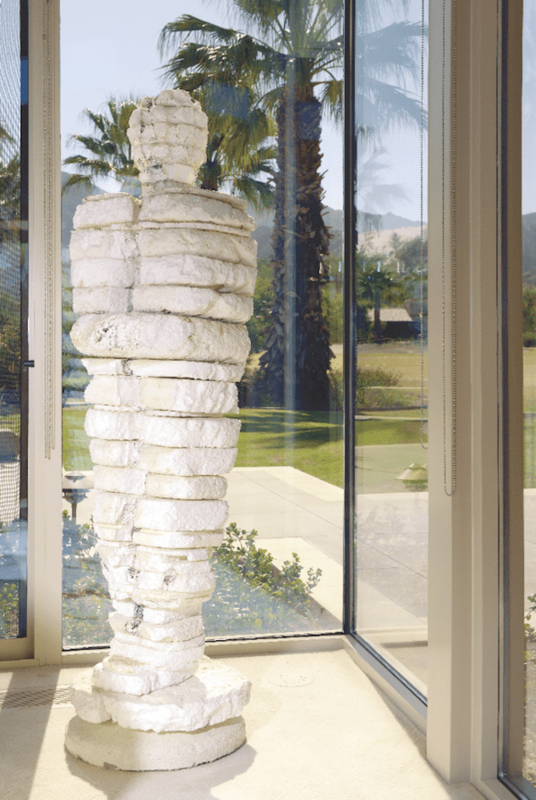 Donna, with her husband Cargill MacMillan Jr., gifted more than 100 contemporary pieces by such notable artists as Louise Bourgeois, Anish Kapoor, Ellsworth Kelly, and Roy Lichtenstein (there were 75 in total) to the Palm Springs Art Museum in 2009 — a donation that dramatically expanded the museum’s offerings of contemporary international works. This was not the first art-related philanthropic gift the couple made. Minnesotans by birth, the pair also donated artwork to the Walker Art Center in Minneapolis, the Minneapolis Institute of Arts in Minneapolis, and University of St. Thomas in St. Paul. While sizable, their gifts comprise only a portion of the art the couple acquired in their 23 years together. Housed inside and on the grounds of the Guy Dreier–designed 14,000-square-foot home the couple shared, their eclectic, global collection features more than 250 works — including pieces by Dale Chihuly, Salvador Dalí, Tom Friedman, Jeff Koons, Maya Lin, and Kara Walker — that span sculpture, painting, garments, furniture, jewelry, and neon signage. It’s a collection that reflects myriad stories — of the couple’s travels together, of the artists behind the works, of how the MacMillans came across the pieces, and of the love story of the couple itself. Since Cargill passed away in 2011, Donna has continued their legacy as patrons of contemporary art. Here in the Coachella Valley, her donations and promised gifts have added works by Angela Ellsworth, Evan Holloway, Michael Petry, Lari Pittman, Sarah Sze, Zhan Wang, Andy Warhol, and Christopher Wilmarth, among others, to the Palm Springs Art Museum. The artwork in the living room includes three glass stones by Michael Petry (left, on the floor), Dale Chihuly glass pieces (on the fireplace wall), Yarn & Ceramic Hands by Héctor Velazquez (on the coffee table), wooden figures with umbrellas from Thailand (behind the couch), melting Buddhas by Bob Walker (on the piano), One Cent Silver by Bob Van Breda (behind the piano), and Happy by Tim Noble and Sue Webster (on the glass wall). It was then that Donna spotted a print by San Francisco painter Richard Diebenkorn in a gallery and immediately took a liking to the piece. “We were in New York the day it came out,” Donna says. After the couple married in 1988, they returned to that gallery. As luck would have it, a resale of the print Donna was enamored with a decade earlier had just become available. They bought it for their private collection — one of many pieces that have special meaning for Donna. Another is the first piece the couple purchased together: Los Angeles sculptor Gwynn Murrill’s Hawk, which was with the couple for their entire marriage. “Each day, I say, ‘good morning’ and ‘good night’ to it,” Donna says of the bronze sculpture that can be seen on the lawn through the windows of her bedroom suite. Art in this hallway, which leads from the living room to the breakfast room, includes Gold Window by Eric Orr, a golden door by Subodh Gupta, a Gold Flood below the door by Karen Lofgren, a chalkboard chair by Scott Maggart, a hair spider web by Kevin Carter, and a painting (on the wall) by Kara Walker. Overall, Donna says she is attracted to art that makes people feel good. “I like art that makes people feel happy, makes them laugh,” she says. “I just don’t do serious.” To wit: the Tim Noble and Sue Webster Happy neon sign front and center in her living room. She also likes art made from found objects. Twentynine Palms mixed media artist Cathy Allen’s PyroStyro Goddess, made of carved and burnt polystyrene foam from the desert, prominently stands in a corner of Donna’s living room. Donna also points out a Héctor Velázquez sculpture on her coffee table called Yarn & Ceramic Hands as a piece whose creation and fabrication process sparked her interest. “That really is an amazing piece,” she says of the Mexico City artist’s sculpture, which was molded from real hands, set in resin, and covered in yarn. His work is known to explore the internal and external worlds through the body, linking physical and spiritual existence. Art in the master bedroom suite includes a lips couch by Salvador Dali, paintings by Eric Orr, a woman's leg figure chair by an unknown artist, glass pieces by artists from the Pilchuck Glass School, shoes by Wendy Holden, glass desk and lamp by Carl Springer, green phone on desk by Raymond Carter, two vases by Jonathan Adler, and bronze and glass lamps by Dan Dailey. Donna believes in passing along to others what life has given her. Although she comes from humble beginnings — she grew up on a farm “milking cows, slopping pigs, and feeding chickens,” she says, before moving to a small rooming house with her mother in Minneapolis and just making ends meet — she feels she was born lucky. She cites the influence of a wonderful role model in her mother, as well as having an upbeat attitude since she was a little girl, for the positive trajectory that led her to be who she is. So what does the future hold for this dynamic woman? Always eager for tomorrow to come, Donna is still actively acquiring art and exploring her many passions — so we’ll all just have to wait and see. One thing’s for sure: We’re going to love it. 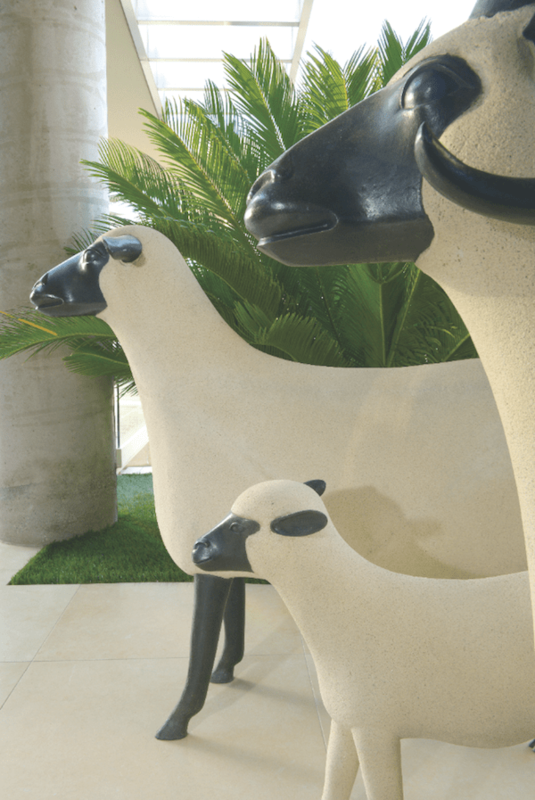 Sheep sculptures by François-Xavier Lalanne. 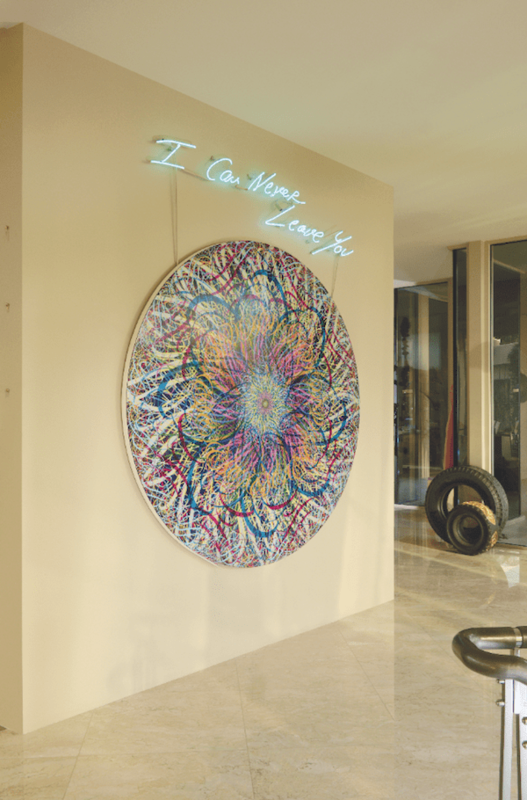 'I Can Never Leave You' neon sign by Tracey Emin, and circular painting by Ryan McGinness. 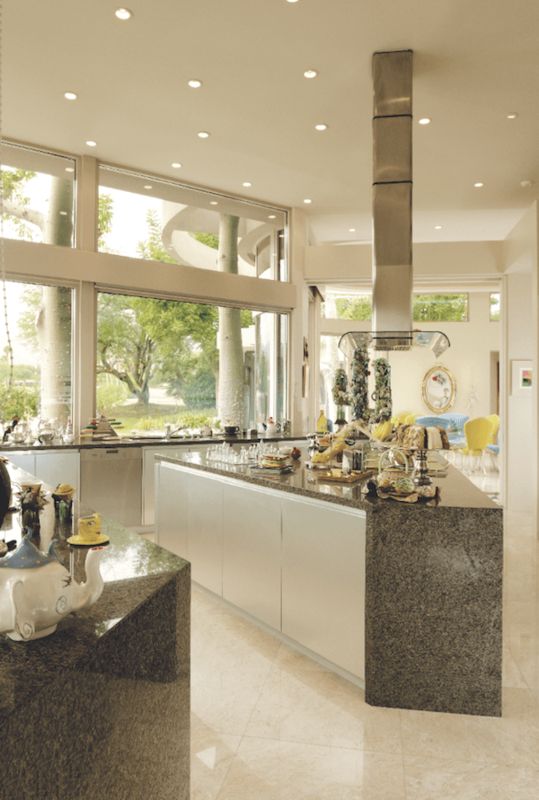 The kitchen features theme-appropriate artwork from Andy Warhol, Bob Van Breda, Erik Dietman, Stewart Weitzman, Peter Shire, Marsha Tosk, and many others. The master suite gallery hall includes the neon sign Happiness Is Expensive by Alejandro Diaz, Olympia’s Scandal painting by Victor Rodriguez, glass chair and bed set by Vikky Alexander, Molar Chair by Wendell Castle, and Marilyn vs. JFK — JFK vs. Marilyn by Alex Guofeng Cao. 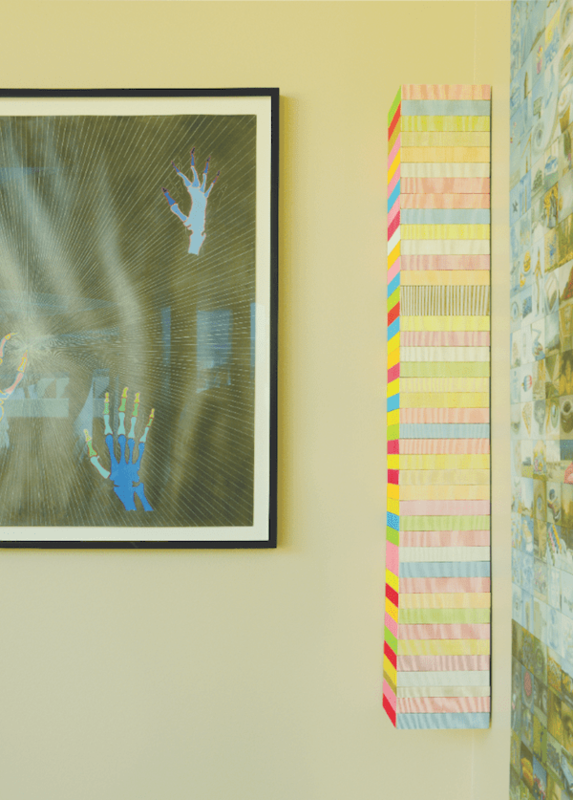 A painting by Yinka Shonibare, and a thread-covered rectangle by Brian Wills. 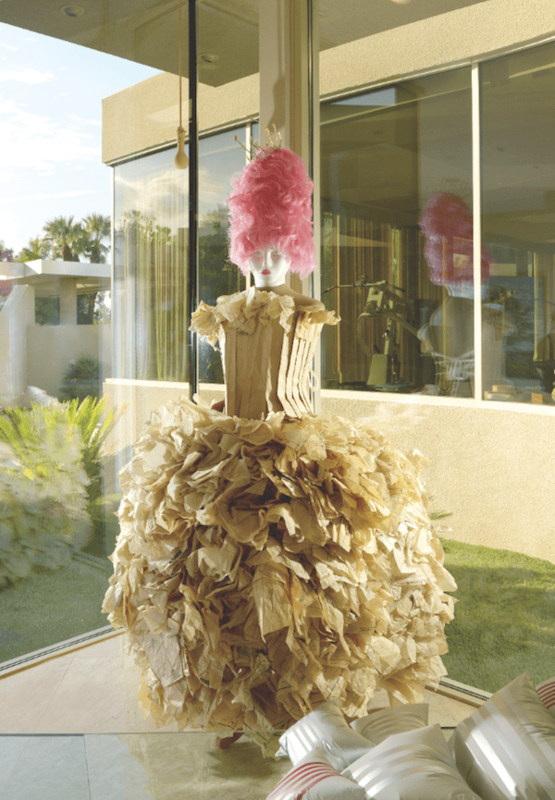 A paper tissue dress by Amanda Smetana. 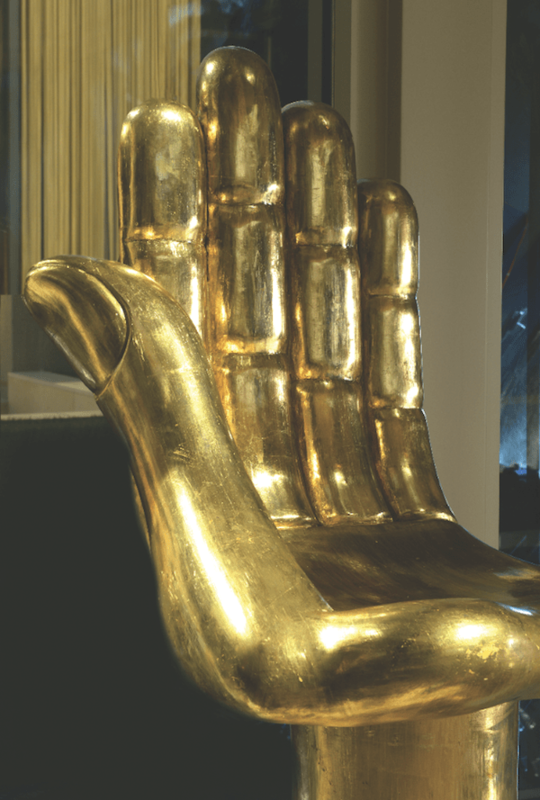 Gold hand chair by Pedro Friedeberg. 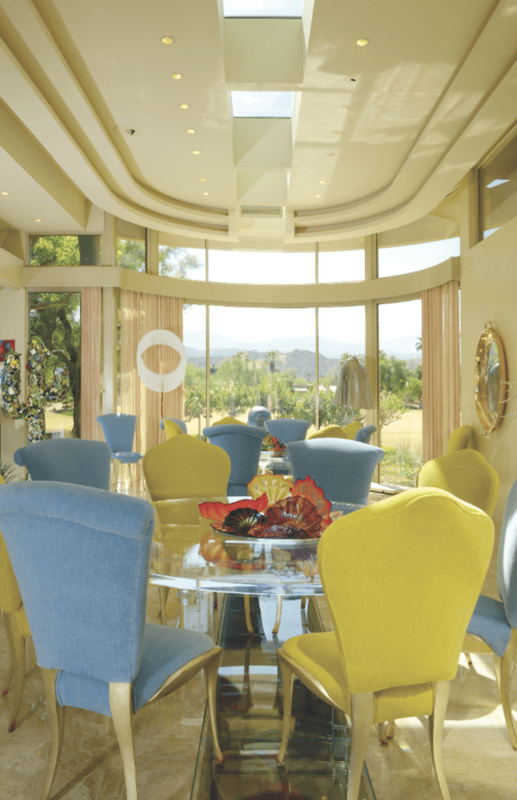 In the dining room, colorful glass on the tables and immersed in water installed in strips under the floor by Dale Chihuly, a ceramic cactus by Terrie Read Kvenild, and other artwork blend seamlessly with the views beyond. PyroStyro Goddess by Cathy Allen. 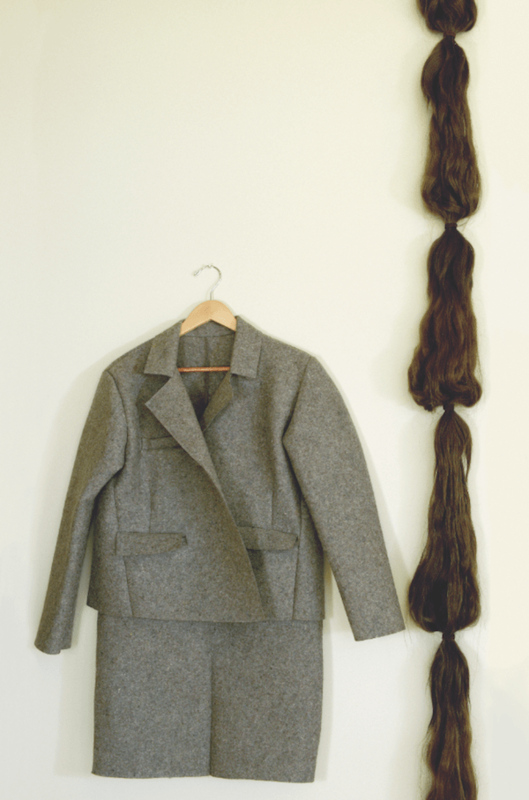 Woman’s Felt Suit and Rescue, made from human hair and leather, by Annette Lemieux. 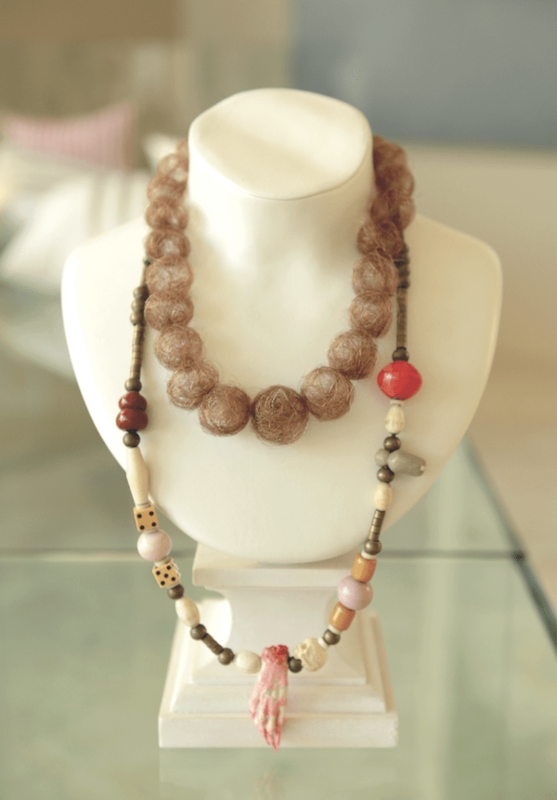 Hair Necklace by Mona Hatoum, and beaded necklace by Robert Mapplethorpe. The hallway leading from the living room to the dining room is also a venue for art. Included here are a light bulb by Tony Oursler, dishes by Yayoi Kusama, Tupperware beeswax cups by George Stoll, Root Beer Swamp and Cherry Pop paintings by Will Cotton, and laser-cut felt by Arturo Herrera.